All Stars For Kids – Be An All-Star For Kids! We are overwhelmed by the outpouring of support received during this campaign and would like to offer our heartfelt thanks to everyone who supported All-Stars For Kids this year. We could not make such a positive impact on the lives of children and youth without the generous support of the community. We want to thank our dedicated supporters, Gary Nissen and Qualico, for their continued commitment to mentoring and matching donation of $125,000. 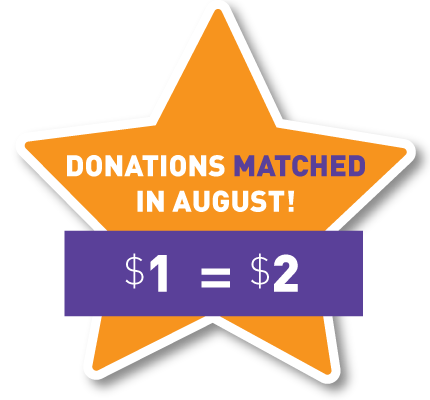 Thanks to PBA Land & Development and an anonymous donor for stepping up with additional matching dollars to ensure ALL donations were matched, dollar for dollar. A BIG shout-out to ourAll-Stars, Bo-Levi Mitchell, Sean Monahan, John Morris, Jasmine Mian & Michelle Salt, all of our All-Star Ambassadors and Community Partners who showed their commitment to the campaign in such a BIG way, we cannot thank you enough. Thanks to the generosity of long-time champions, Qualico and Gary Nissen, every dollar raised will be matched up to $125,000, for a grand total of $250,000!! We’ve drafted a team of All-Stars to help us reach our goal for All-Stars For Kids. Professional athletes, Olympians and local All-Stars will be sharing their mentoring stories and spreading the word about the power of mentoring. Bo Levi Mitchell is the current quarterback for the Calgary Stampeders. In September of 2014, He became the first quarterback in CFL history to win 12 out of his 13 starts and in July of 2014, he tied the CFL record for most consecutive wins to start a career with seven. Michelle Salt is a Canadian paralympic snowboarder. She was in a life-threatening motorcycle accident in which she lost her right leg above the knee. Michelle chose to see the opportunity in her tragedy and within 8 months, Michelle got back on her snowboard and became the first female Canadian paralympic snowboarder. Selected by the club in the first round (6th overall) of the 2013 NHL Draft, Monahan became the first Flames rookie forward since Jarome Iginla in 1996-97 to score 20 goals in his first year. Since turning pro, he has posted three straight 20+ goal seasons. Jasmine Mian is a Canadian female wrestler. She won the bronze medal at the 2014 Commonwealth Games. In 2015 Jasmine represented Canada the 2016 Summer Olympics. Since 2014 Jasmine has been a volunteer mentor at BBBS Calgary and Area. John Morris is a Canadian curler, Tim Hortons 2015 Brier champion and Vancouver 2010 Winter Olympic gold medalist. John was a volunteer mentor with BBBS Calgary and Area for 3 years and continues to support mentoring for kids today. Mentoring Makes A 'BIG' Difference! Children with mentors are more likely to do well in school, go on to successful careers, live happy, healthy lives, and give back to their communities. In fact, every $1 invested in mentoring by BBBS returns $18 to society. There are thousands of children and youth in and around Calgary who have been impacted by mentoring - read some of their stories. Visit bbbscalgary.ca to learn more!